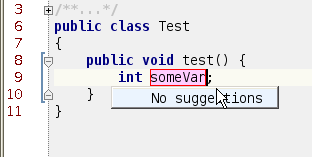 the inline rename should also support ENTER. It is a pain to have to hit ESCAPE to finish the operation. 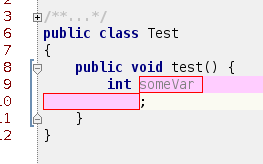 ENTER finishes the refactoring, please check once more. start/end of the entry? Last time I tried, it didn't. ENTER just inserts a newline for me. 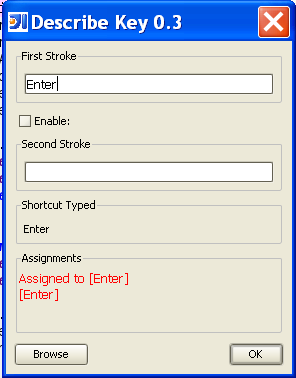 My ENTER looks like it is bound correctly in the KeyMap. I looked into this some more and found out.. If I uninstalled all my plugins, that didn't help. did accept the ENTER key. Apparantly, some of the new keybindings were not added to my keymap. See attached difference for ENTER key. 100 times from 4.0 to now. Now, I am wondering if other things are wrong in my keymap. Here is my keymap xml file. 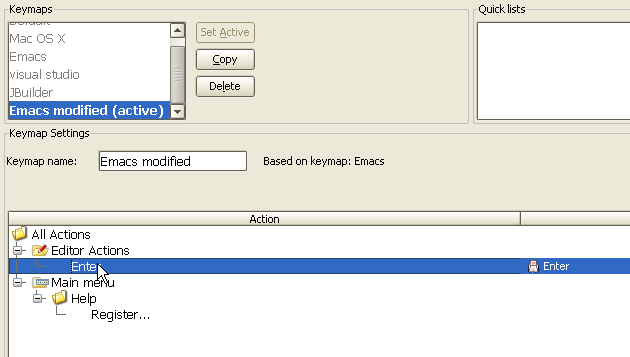 My keymap is based on "Emacs" keymap parent. I switched my keymap to "default" and ENTER worked in Rename. I think switched to "Emacs" and ENTER worked. It only doesn't work on my keymap. Can you take a look at my keymap file and see if there is a problem? 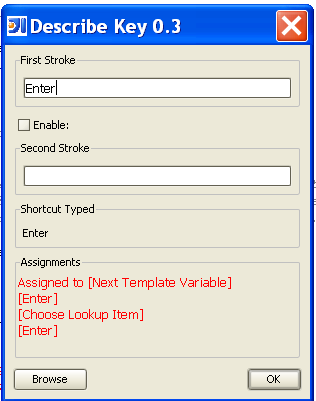 Otherwise, I guess I can try recreating my keymap again from scratch. switch to default keymap or Emacs keymap, but that still didn't work. and then making all of my changes again.